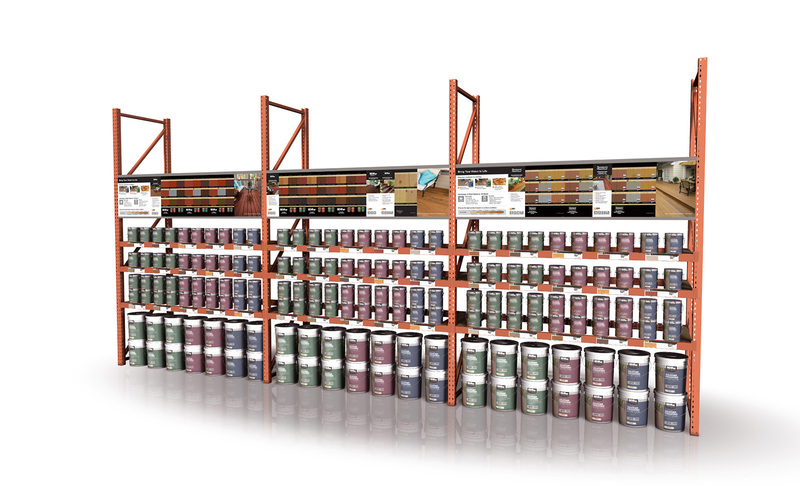 Behr Paint Company invites its customers to re-embrace imagination, through color. But its retail merchandising was cumbersome and only let shoppers see a few colors at a time. And the more samples you show, the more you sell. Print. Color Matching. Design. Kitting & Distribution. 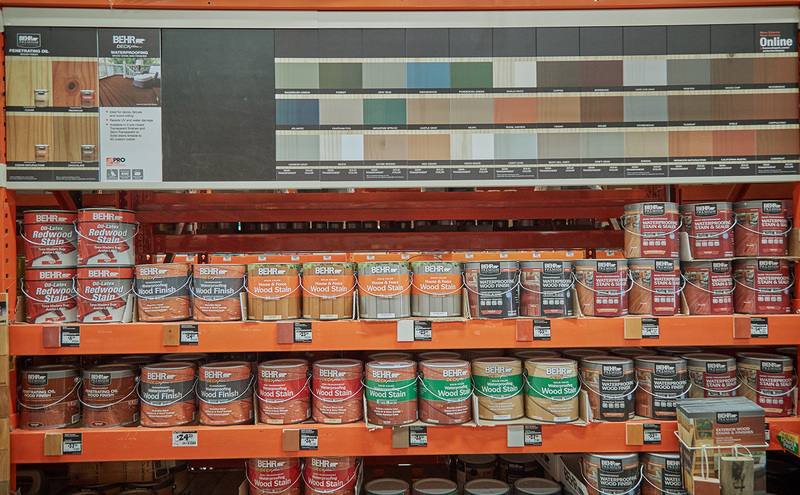 With more than 700 possible colors of stain to show but a small store footprint, Behr was also struggling with displays that were difficult to install and had a tendency to warp. 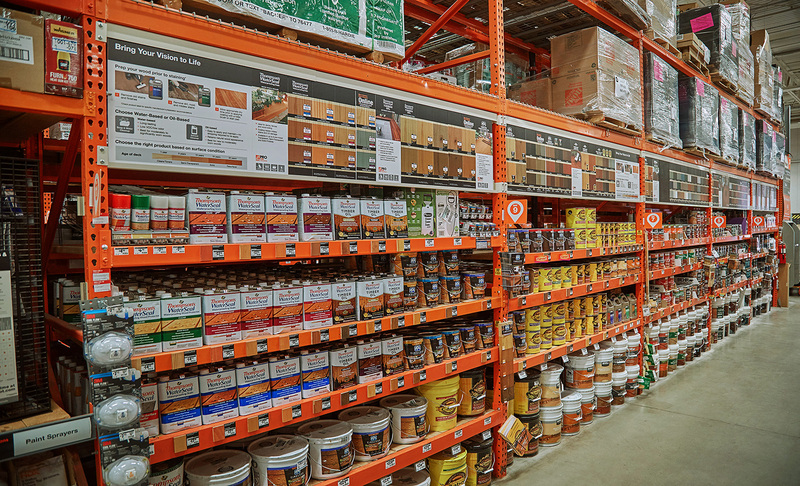 With more than 2,000 stores to service, they needed a better way. 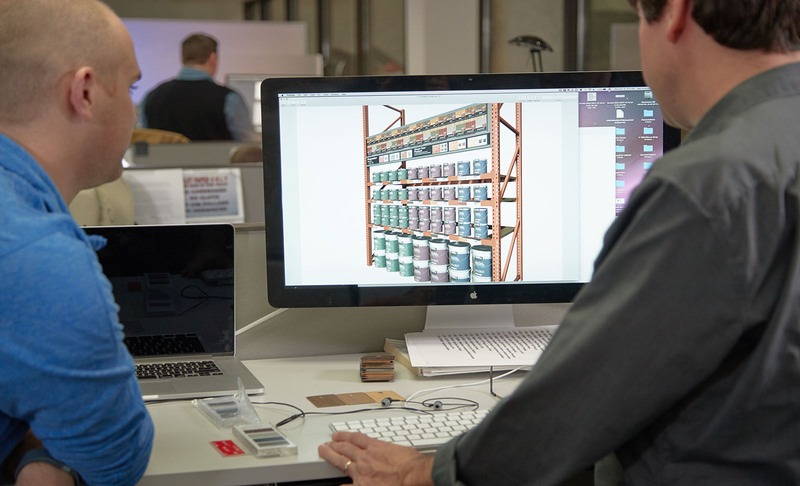 After researching shopper habits, we proposed a lighter, more stable material. 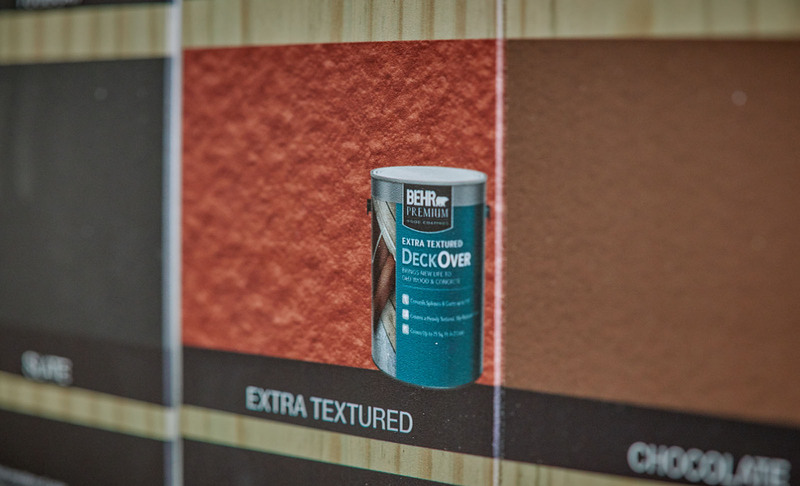 By dimensionally printing expanded PVC routed to look like wood, we reimagined Behr’s displays so they are easily installed, don’t warp, and let customers see three times as many colors at a time. We were also able to print the stain information right on the plank, so the customer can easily find the can. We also matched all 773 colors in one-third of the time expected, simulating the colors on three different woods: cedar, pine, and redwood. 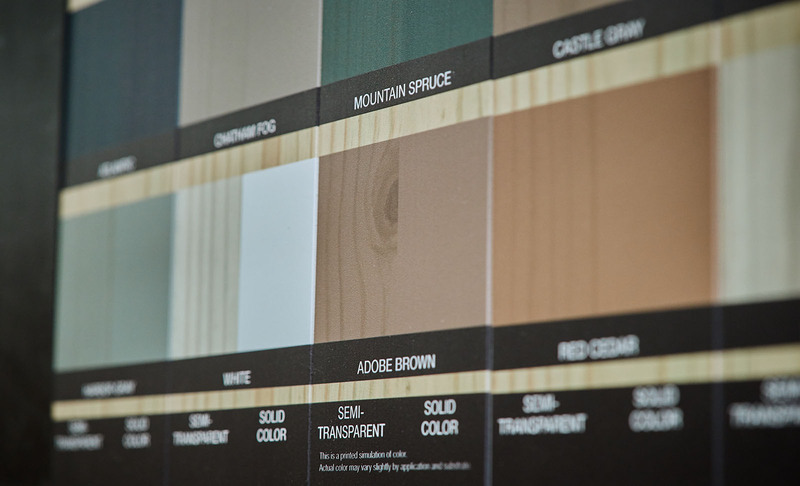 Tech-forward printing on dimensionally stable PVC that looks and feels like wood — and lets Behr show triple the number of stain colors at a glance. 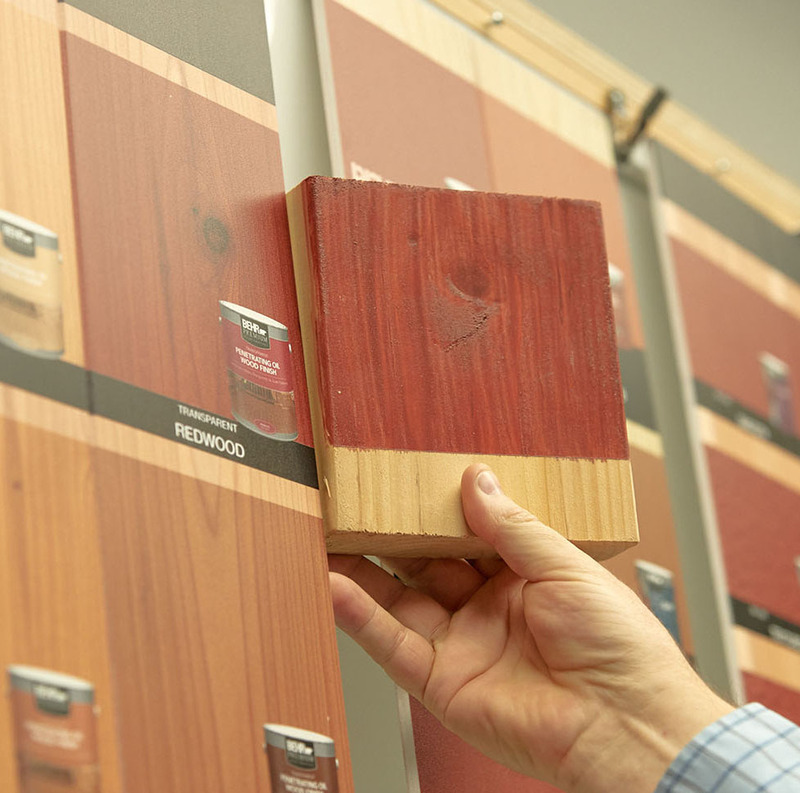 Plus, precise color matching for the full suite of stain options in less than half the time anticipated.